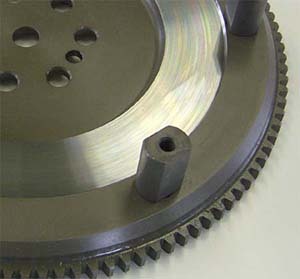 Despite the support of approximately 700ps, the main concept for the Twin Plate LA Clutch remains the same. 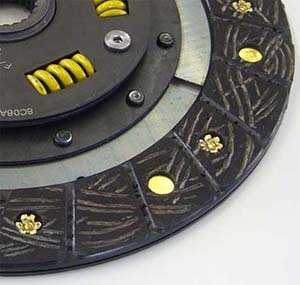 Using "MG Composite Discs" to reduce judder and achieve better driving feel compare to stock clutch. 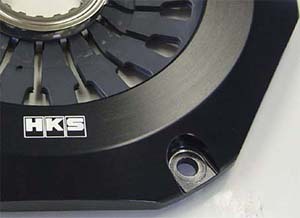 Disc dampers are used to reduce gear noise and protect the transmission from shock torque. 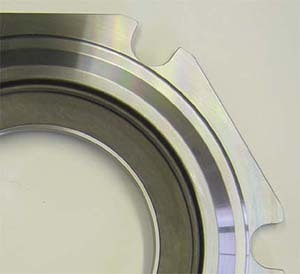 The LA Twin also has a "Pivot Ring" within the pressure plate to offer partial engagement like no other twin plate clutch. 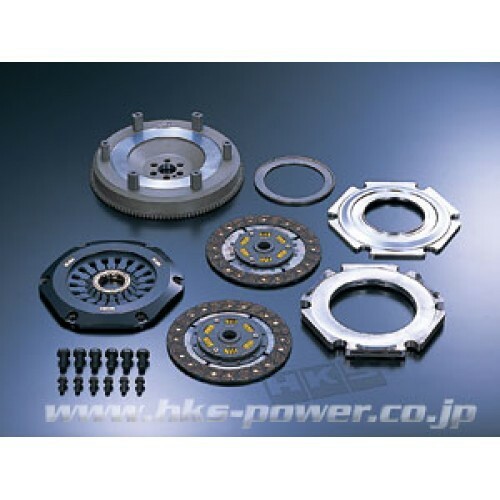 (3) Accurate Disengagement and Friction/ Wear Balance form "Lifting Plate"
"Allowable Range" is the range of engine torque which is allowable unless the clutch is overheated by intentional clutch semi-engagement. "Conditional Allowable Range" is the range slippage may occur due to rough handling, kickback from tires, components' distortion. Range beyond Allowable Range" is the range that slippage occurs when a clutch is being engaged under high RPM. "Mechanical Limit" is the point that slippage occurs while accelerating.